We've included these beaches for you: Ispoinen Beach and Sauna and Vepsa Island. 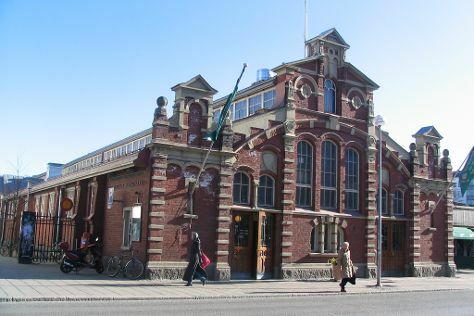 Museum-lovers will get to explore Turku Castle and Forum Marinum Maritime Centre. Step out of Turku to go to Poytya and see Kurjenrahka National Park, which is approximately 46 minutes away. There's lots more to do: buy something for everyone on your list at Turun Kauppahalli, let little ones run wild at Adventure Park, examine the collection at Luostarinmaki Handicrafts Museum, and contemplate in the serene atmosphere at Turku Cathedral. To see maps, photos, traveler tips, and tourist information, use the Turku trip maker app . Rio de Janeiro, Brazil to Turku is an approximately 23.5-hour flight. You'll lose 5 hours traveling from Rio de Janeiro to Turku due to the time zone difference. Plan for cooler temperatures traveling from Rio de Janeiro in January, with highs in Turku at -3°C and lows at -9°C. Wrap up your sightseeing on the 17th (Thu) early enough to drive to Kimito Island. Start off your visit on the 18th (Fri): take a tour by water with Archipelago National Park. To see maps, more things to do, other places to visit, and other tourist information, go to the Kimito Island trip planner. Traveling by car from Turku to Kimito Island takes 1.5 hours. Alternatively, you can take a bus. Expect a daytime high around -2°C in January, and nighttime lows around -9°C. Finish your sightseeing early on the 18th (Fri) so you can travel back home.